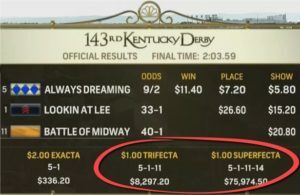 How to WIN BIG on the Kentucky Derby! 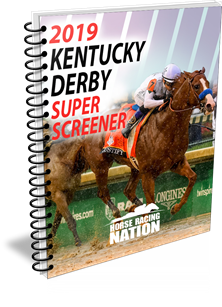 Get the SUPER SCREENER and CRUSH the DERBY! With the 2018 Kentucky Derby field set, Brisnet.com on Tuesday supplied updated (and free!) past performances. The PPs include all recent published works, with an increasing number of those happening at Churchill Downs, site of the May 5 Run for the Roses. Brisnet PPs include key data for the Derby with the distance stretching to 1 1/4 miles, such as the average winning distance of a given contender’s sire and dam; speed ratings; and late race pace ratings that could indicate a horse will excel at 10 furlongs. Looking for a printable version? Click here. ← Previous Story Kentucky Derby 2018 – Who are the Best Three Longshots?